Imperas will participate in the Design Automation Conference (DAC) 2018, and invites developers of electronic products to visit us there! DAC 2018 EXHIBIT: Imperas will show virtual platform solutions for design, debug and test on the RISC-V pavilion, #2638. Additional information will be released shortly. DEMO HIGHLIGHTS: See Imperas virtual platforms and Open Virtual Platforms (OVP) models for embedded software development, debug, analysis, and verification, featuring RISC-V.
Imperas will participate in the official RISC-V Workshop Barcelona in May 2018 in Barcelona, Spain, and invites you to “Join the RISC-V Revolution!” and be part of the disruptive force transforming the microprocessor IP market through open standard collaboration. Co-hosted by the Barcelona Supercomputing Center (BSC) and the Universitat Politècnica de Catalunya (UPC) and sponsored by NXP and Western Digital in Barcelona, Spain, the upcoming RISC-V workshop will feature recent technical activity in the ever-expanding RISC-V ecosystem. The RISC-V Workshop Barcelona 2018 will feature an Imperas exhibit and two presentations on virtual platform technology for RISC-V based designs. View the agenda here. 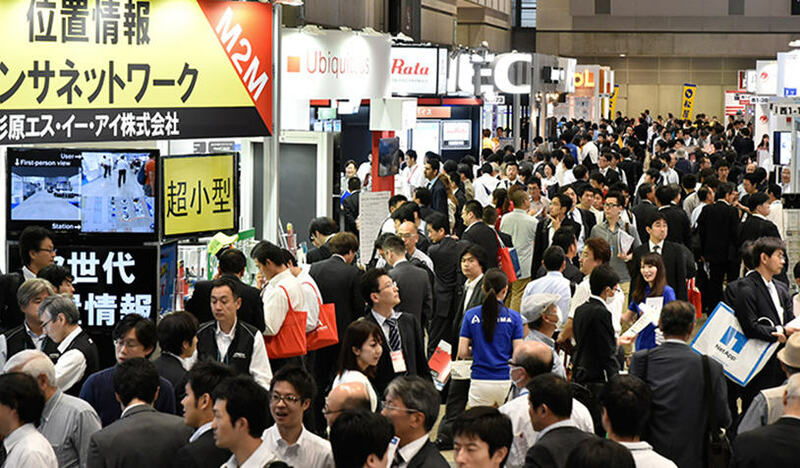 Imperas’ distributor, eSOL TRINITY, will be exhibiting at the Spring IoT/M2M Expo in May 2018, in Tokyo, and will be available to discuss Imperas virtual platform solutions at the show. When: May 9 - 11, 2018. Imperas will participate in DATE (Design, Automation & Test in Europe) 2018, a leading international event for design, engineering, automation, and test of microelectronics systems-on-chip, systems-on-board, embedded systems and software for both academic and commercial communities. “Early Evaluation of Multicore Systems Soft Error Reliability Using Virtual Platforms” authored by Felipe Rocha da Rosa of Universidad Federal Rio Grande Sud. Imperas, the leader in high-performance software simulation and virtual platforms, announces that they are participating in the 2017 RISC-V Workshop. The 7th RISC-V Workshop, hosted by Western Digital, in Milpitas California November 28-30 2017, brings the RISC-V community together to share information about recent activity in the various RISC-V projects underway around the globe, and build consensus on the future evolution of the instruction set. For more information, or to set up meetings with Imperas at the upcoming 7th RISC-V workshop, please email sales@imperas.com. See Imperas at the Linley Processor Conference 2017, October 4 - 5, 2017, at the Hyatt Regency, Santa Clara, CA. This two-day, dual-track conference, sponsored in part by the RISC-V Foundation, features technical presentations on the latest processors, IP cores, and other technology required for deep learning, servers, communications, embedded, and advanced automotive systems. Sponsor exhibits and demos include Imperas, demonstrating virtual platforms for RISC-V designs, as part of the RISC-V booth. Where: Hyatt Regency, Santa Clara, CA. This in-depth technical conference is the industry's premier processor event, with over 20 technical presentations by experts from industry-leading companies, and a keynote session covering technology and market trends in processor design.The Linley Processor Conference is targeted at system designers, equipment vendors, OEM/ODMs, service providers, press, and the financial community. Imperas allowed us to quickly add our own components and build the topologies which we wanted to test. We had our first demo up and running in 20 minutes, and it took us just a few days to build a reference hardware architecture based on components in the Extendable Platform Kit (EPK). Last but not least, after just a few months we could start playing with our own many-core operating system on our many-core hardware design. The ease of use of the EPK, together with excellent Imperas documentation and support, have kick-started our FlexaWare platform development.